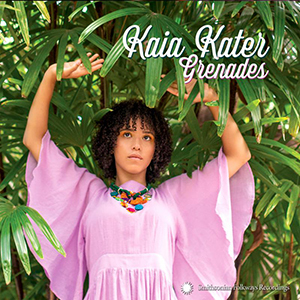 Young folk music veteran Kaia Kater rises to bold new heights of imagination and creative expression on her 3rd album Grenades. With abundant poise and poetry, Kater composes an odyssey about personal identity, memory, and discovery in the wake of her father’s journey as a young political refugee. She draws upon her diverse musical influences in Quebec, the Caribbean, and Appalachia, and her bicultural experience as a 2nd generation Grenadian-Canadian, to envision a new path for herself and her songs. This entry was posted in Featured Album. Bookmark the permalink.